I know I’ve had the blog abandoned for a while, but I’m sure you can relate to the fact that there seems not to be enough time for anything, ever, and with more social media outlets being born every minute, it’s hard to keep up. If you haven’t done so, please follow me on Instagram (@alezohn) if you are interested in more active, shorter posts on all topics related to The Star of Health: food, eating, movement, sleep, relationships, pleasure & relaxation, creativity and spirituality. For a long time I wrote about the food/wellness trends at this time of the year (specifically in honor of my friend Sarah, who I knows likes reading them, so if I have a reader, I will write!). I had lots of fun, but somehow this year, it’s not getting me that excited. Not because nothing has happened, but due to the opposite. The wellness world has turned into a huge industry that everyone is milking, which is great in some ways, as more and more alternatives are now at our reach, more research, technology, design, and thought, are being applied to being healthy, but it causes a lot of confusion: at this point no one knows where to look: do I eat keto, paleo, vegan, plant based, pescatarian…? What’s the best way of moving my body if now strength training and weight lifting have proven superior over cardio? Do I stop cardio? Do I wear couture athleisure to yoga or can I just show up in comfy clothes without being judged? Do I need adaptogens? If so, which? (NOTE: I’m not going to talk about adaptogens in this post, as I’ve dedicated a whole one to these amazing herbs, but they are definitely a wonderful addition to our lifestyle) Because there are hundreds. Is SLT better than rowing? And the questions go on and on…. The truth is: there’s no “right” way to eat/move/sleep/supplement/be happy for everyone. We are still leaving the individual, his/her intuition, and awareness out of the conversation. It might be because it’s not really profitable or because we don’t really want to look inwards. We just want an “expert” to tell us what to do, what to feel and what pill to swallow without any participation from our part. Obviously, we need the experts’ guidance and technology can be very helpful too, but it is necessary that we become brave enough to rescue the mindbodysoul human that we all carry inside and around. We can’t make others or any capsule fully responsible for our wellbeing, we need to be in it too! In the meantime, I leave you with the trends, but please don’t forget you—not the marketing genius hired by the “new” wellness industry— are the most powerful participant in your health. For a few years, scientists, doctors, mental health specialists and other experts have realized that the microbiome—The trillions of microorganisms that inhabit our intestinal tract—has a very important influence in our digestive, immune, mental and overall health. Day Two, a test developed by researchers from the Weizmann Institute of Science allows to analyze one’s individual interaction between lifestyle and personal microbiome to predict one’s body’s blood sugar reaction to specific foods (that are different for each person); which might be very impactful in taking care of health problems such as diabetes and metabolic syndrome. Don’t miss Michael Pollan’s How to Change Your Mind. "The “so-called alternative proteins are the fastest growing segment of the food industry,” reports Bloomberg Businessweek (the pic below is from their Dec 24, 2018 issue). I’m all for plant-forward diets, you can always hear/read me saying how fruits, vegetables, spices, and herbs are magical, but I’ll be honest: the whole pipeline of lab-grown beef burgers, chicken and seafood coming to us as you read this, plus pork meat made of wheat gluten, tuna made of highly processed chickpeas, soy, lentils, beans and algae-flavored oil and many other plant-based alternatives, concern me a bit. Yes, it’s wonderful for animal welfare, but all these plant ingredients need to be made into something they are not, they need to be “enriched” and transformed with substances and equipment to make them super palatable and physically appealing, and as for resent history, that’s what’s lead us to nutrient-deprived hyper processed foods. So I won’t be the first one to jump of joy when all these foods hit the market, unless the companies are completely open and their ingredients are wholesome and minimally processed. 5. CBD in your soup, your latte, your matcha, your body lotion, your e-cigaretts, your water, your EVERYWHERE! This isn’t really a trend, but a reality. Everyone is adding drops, popping capsules or rubbing ointments. CBD, Cannabidiol is a NON-PSYCHOACTIVE compound derived from the cannabis plant (from marijuana, where it comes together with THC, the psychoactive compound that makes you high; OR from hemp, which comes with no THC). 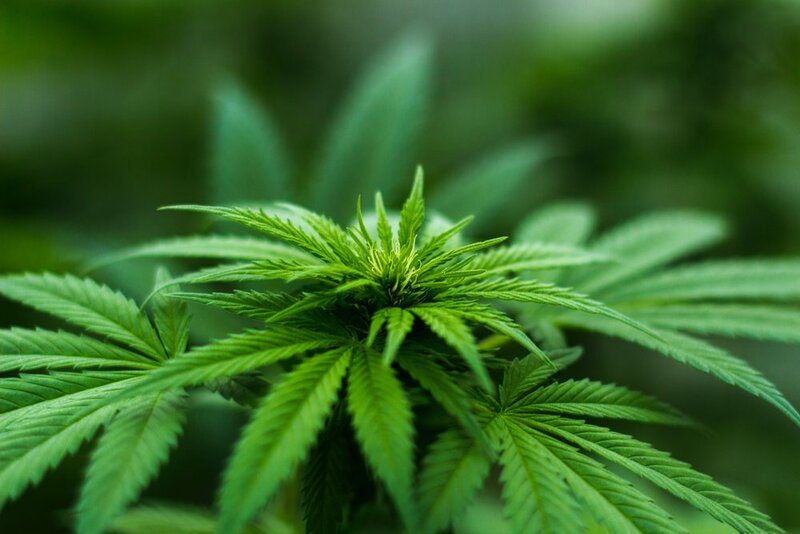 It’s been shown to help counteract anxiety, pain, inflammation, epileptic seizures and insomnia, therefore in this day and age, everyone is using it. The problem is, that production and regulation are still all over the place, so just asking your coffee barista to spike your latte with CBD might not be the best way to control the quality of what your are consuming just yet. A great area of research for this decade (in my opinion it will be what the microbiome was in the 2010s) is the Endocannabinoid System, which is implicated in many physiological functions in the central and peripheral nervous systems and other organs, and is the part of our body that reacts to CBD. It’s been found that the Endocannabinoid System helps regulate mood and anxiety disorders, movement disorders such as Parkinson’s and Huntington’s disease, neuropathic pain, multiple sclerosis and spinal cord injury, cancer, atherosclerosis, myocardial infarction, stroke, hypertension, glaucoma, obesity/metabolic syndrome, and osteoporosis, therefore the potential is enormous. I’m very excited for what’s coming! For more info, read here. Last year I applauded fashion designer Christian Siriano for including women of all sizes, colors, heights, ethnicities and beauties in his catwalks and clothes. Rhiana, Goop and other designers are following. Accepting that beauty is not an intolerant standard but a huge range that is a reflection of our soul and that all souls are gorgeous and worthy of empowerment, embellishment, ornamentation and celebration that can come in multiple sizes and attributes is a huge step forward. We haven’t arrived to the final destination yet, but we’re on our way. Doctors, dietitians, coaches, other designers, and influencers are slowly beginning to understand that a slender body is not necessarily nor exclusively a healthy one. A person considered overweight who nourishes him/herself with great food, attitude, relationships, movement and overall lifestyle might be healthier than a person who purposefully uses food or lack of it as punishment and doesn’t know how to love him/herself. It’s way beyond the weight. 7. Rise (and fall?) of oatmilk? In 2018 everyone is drinking oat milk. But it’s been also found that many oat producers spray their crops with potentially hazardous Roundup. If you love oat milk, I just suggest you only use organic one, as organic oats are not sprayed. I don’t know about you, but I’ve been seeing these everywhere, and I used some during an overseas flight with great results. They are coming up with cute designs and may make the best pairing to standing desks. You might gag at the thought of 2 cups of straight celery juice first thing in the morning, but Medical Medium has turned into a movement with more than a million devotees, me among them. After a few days of “sacrifice” it starts growing in you and once you start enjoying the digestive, skin and other benefits, you look forward to drinking it the next day. Tip: pale celery makes tastier juice than dark green. Sleep is the most important thing we do for our health. Our mood, relationships, balance, endurance, all depend on good sleep. Tons of apps, devises, potions, napping hotels/buses/nukes, and meds are constantly launched to help us in that area, but the more we are plugged in, highly caffeinated and feeling proud of working ourselves too hard, the less we will be sleeping….My New Years resolution (and I really hope I can follow it through) is to go to bed at 11PM every night, and not later than that. Place racks in upper and lower thirds of oven; preheat to 350° and line 2 rimmed baking sheets with parchment. In medium bowl, whisk together oil, coconut sugar, chia egg, almond butter, miso and vanilla, until mixed. Add in dry ingredients and whisk until well combined. Using a mini scoop (about 2 teaspoon capacity, or so), scoop balls of dough leaving 2” in between each. Bake for 12 to 14 minutes, until edges are golden. Cool for 2 minutes and eat, or cool completely and place in an airtight container for up to 2 days, or freeze for up to 1 month. A few months ago I read a piece in a popular, strongly feminist fashion blog in which the author explained how the body positive movement that encourages us to love our bodies just the way they are, may be based on impossible expectations from people who suffer a constant battle against their bodies, self acceptance, self esteem, weight and food relationship challenges (ahem… all of us!). “While it sounds delightful to ooze self-confidence at any size and shape and look, it’s also unrealistic to expect that of ourselves 100% of the time,” she wrote. “Sometimes I look in the mirror and DON’T like what I see.” Her statement is completely valid, and I can’t even think of one person who feels his or her body is just perfect all the time and walks around the street praising it at every step. This sentiment has given birth to what some professionals call “body neutrality,” which is the idea that you don’t have to love your body as an antidote to hating it. “It aims for self-acceptance over self-love"
Body neutrality encourages us to get over the intense focus on our bodies, and inspires us to center our thoughts and efforts in other more important matters, outside the body. It all sounds very logic, but I am still a strong proponent of body positivity and self-love. Not because I think we should all agree that our bodies are perfect just the way they are, and show our confidence all over Instagram sporting bikinis in every picture. I think the problem is in our definition of LOVE. We equal body love to the belief of body perfection, and love is never about perfection. Would you love your son ONLY if he always got perfect grades? Would you love your daughter ONLY if her eyes were a perfect aquamarine color? Would you love your sister ONLY if she were 5’8’’ tall? Would you love your significant other ONLY when he/she was funny or rich? Would you love yourself ONLY if your body mass index were 18.82, waist-to-hip ratio of .70, and waist-to-chest ration of .67, no wrinkles, perfect tan, never a pimple? We are collectively having a problem with the definition of love! Love is not the emotion you feel because something adheres to an ideal expectation, or even liking something in yourself or in others. True, real love is much more. When we look at ourselves in the mirror and think “I’m disgusting, my cellulite is gross/my belly is huge/my toes are horribly crooked….” the knife is cutting us inside. Our body listens and our soul does too. We get into a stress response and our mental and physical health suffer, especially when we do this constantly. The challenge is seeing that cellulite, bulging belly, and crooked toes, but despite not liking them, becoming aware, and putting the knife away, realizing that none of those imperfections can stop us in life. It’s doing ourselves that kindness. We are way more than our cellulite, bellies and toes. Our beauty resides in how loving and lovely we are. Please understand that I’m not saying that if you are suffering from a medical condition related to your diet you should say “to hell with it, I love myself just the way I am and I’m not quitting soda!” Or if you decided to give up movement or adopt anything that might harm you, as that’s another way of bringing out the knife. You would be hurting yourself by not choosing to take care of your body. Spotting our knives is challenging, as it can come disguised as internal dialogues, thoughts, fears and many other things that cause unnecessary pain. Yes, love is easier said than done. Self-love and body-love are complicated and a practice. But I hope we don’t stay neutral! We need to become aware in order to detect when we are bringing out the knife and consciously chose to put it away. That peace is true LOVE, and quoting The Beetles: “Love is all you need.” However, love might not equal to liking, but to choosing not to be cruel to those we love, including our stretch marks, big hips and fat rolls. Please place your hand at the place where your front right ribs end, and say “THANK YOU, LIVER.” Show some love and gratitude to this workhorse of an organ, who along your intestines, kidneys and skin, forms the garbage commission team of your body and keep it from becoming an oversaturated trash can full of spoilage and toxins. More than ever, we’re consistently exposed to toxins. They are present in the air, food, water, housewares, skincare, cleaning products…Some of them affect our hormones directly, others kill the good bacteria in our digestive tract, and others overwhelm the detoxification processes. It’s impossible to isolate ourselves from them. However, there are many things we can do to decrease the toxic load we expose ourselves to in our daily life. Here are some tips. Remember, yes, ideally, you could make all the changes today, but that’s not realistic. Focus on one thing at a time. Maybe you can decrease your consumption of a certain thing or start eating something new that can support your body get rid of the junk, perhaps you buy a new deodorant... I’m giving you many options. Pick one, the easiest one, and start from there. Sweating: sauna, infrared sauna, steam room. Plastics: I know, so hard to avoid them!!! I also find it challenging, but I’m trying to be more mindful. Especially, focus on avoiding the ones with the number 3, 6 and 7 (when you see the recycle triangle in plastic products, there’s a number inside, avoid the ones containing those digits). Throw away scratched plastics, don’t microwave and don’t place plastic containers/utensils in the dishwasher (as per Leonardo Trasande, M.D., an expert researcher at NYU). BPA free packaging might be better, however, it’s safer to stay away from plastics completely. Invest in a water filter instead of drinking from plastic bottles. Get a stainless steal or glass water bottle. Try to consume ORGANIC produce as much as possible. They are pesticide free, and pesticides do accumulate as toxins in our bodies. But don’t stop eating produce just because it’s not organic! Consult ewg.org's Dirty Dozen guide. Switch to natural skincare, personal care, cleaning, and feminine hygiene products (we rarely think about this last one, but the exact place where these products are used is extremely effective in absorbing all compounds. Cotton is highly sprayed with pesticides, and plastics can mimic our hormones or cause toxicity, so check out your local Whole Foods for substitutions). Our skin is our largest organ, and absorbs a lot of the compound it’s exposed to. I know it’s easier said than done, but set your goals into finishing the soaps, shampoo, lotions, makeup, and cleaning supplies you currently have at home, and start buying “clean” brands. I'm a huge fan of dapple products, but there are many other brands in the market right now. The ewg.org website can offer resources and recommend brands. Here’s the direct link to their consumer guides where you can search for sunscreen, food, filters, cleaning products and cosmetic options https://www.ewg.org/consumer-guides#.WqAQ4iOZOqA. A great source of skincare and makeup that I use is https://www.100percentpure.com, whose ingredient labels read like the ones in clean, unprocessed food: everything is recognizable and pure. But since the clean skincare industry is exploding like crazy, I’m sure you can find many more amazing products. I asked lifestyle, fashion blogger, and one of the most stylish people I know, Fortunee Dushey of Fortune Inspired, to share her favorite clean skincare products, in case you thought clean was for hippies like me only! Fortunee is a big fan of Kai deodorant, which is all natural and has a light scent. She also uses their body lotion. For the face, she just got turned on to California-based True Botanicals. And just FYI, Barney’s just unveiled a whole Conscious Beauty category that includes a great variety of clean (and obviously pricey) brands and products. As for me, I wash my face with raw honey, moisturize with rose hip oil from thrivemarket.com along with DoTerra’s Immortelle essential oil blend (happy to get you hooked up with that), and jojoba and/or coconut oil from the health food store instead of body lotion. I clean my countertops with a mixture of equal parts water and vinegar plus "purify" essential oil blend from DoTerra, pretty cheap, easy and effective. Omega-3 fatty acids: sardines, wild salmon, chia seeds, ground flax seeds (flax meal), flax oil (don’t cook it) and walnuts. Magnesium: Consider supplementing. Ask your doctor, or try epsom salt baths. B complex: some of us have difficulty metabolizing B vitamins. You can try a methylated B complex supplement. This one is my favorite. We hear it all the time, and we wished we were doing something about it, but it’s not to be taken lightly. Chronic stress—aka feeling that there’s a threat coming your way ALL the time for any given reason—can over task your glands and throw your hormones off balance, then the liver gets in trouble too. I don’t mean to stress you even more by telling you this, nor by suggesting improvements you can make to your lifestyle in order to decrease the toxic load in your life. I just want to inspire you to do something that helps you relax as a daily practice from now on. Think of the way you speak to yourself. Think if what you are saying comes from a place of love. If not, try again to speak/think from a place of love. Say something nice to yourself, even if you don’t feel like it! You can also download one of the following apps to get started on five minutes of mediation: The Mindfulness App, Headspace, Calm, Mindbody Insight Timer (this is the one I use) or Smiling Mind are all free and since you can download them in your phone, you can take them anywhere, even if you are the meditating weirdo in the subway! If that’s not for you (but try it before quitting), just say three things that you are grateful for right before going to sleep. Do a deep breathing exercise (SEE HERE for my favorite) or just have a dance party for yourself listening to your favorite music. There are many ways to destress, the secret is just to get started…. Please feel free to share tips, your favorite products and even recipes. This is a conversation that is just beginning. Do you eat to try to heal your emotions? We are all emotional eaters to a certain degree. But I often hear from people who feel that their emotions push them to eat in a way they end up regretting. The guilt, the eventual weight gain and/or negative consequences and the need to keep taming that stress with more food is a common concern among my clients. They feel trapped in a spiral, enslaved by their own “weakness” with food. It happens to both, men and women (I often see what I call the “mom binging syndrome” with mothers who feel they need to open the pantry and eat everything they find once the kids are in bed, but I’ll write more on that on another time), and teens. Fighting it doesn’t work, we need to get into the eye of the storm instead. Food is greatly comforting. It is actually the first comfort we experience once we are pushed out into the world from the warmth of our mother’s womb. Our first taste of milk (or formula) usually comes accompanied with cuddling and hugging and someone infusing us with love, care and calm. Who wouldn’t want to feel the same way every time we experience distress throughout our lives? Many foods, especially the ones that contain plenty of sugar, simple carbs, dairy and gluten, can help us produce or transform in our bodies into different happy chemicals of immediate, but short term effect in our brains. By eating them, we experience a bit of that comfort we had when we were young. They give us a “hit.” But the experience of love and calm is not truly completed and our stresses are not hugged away by our mother. Without realizing, we keep trying to find more of the loving calm through our food, which gives us a momentary taste of happiness and then dissipates. We need more, so we keep trying. We don’t realize that what truly used to calm us down wasn’t only the actual food, but the love it came accompanied with. That is genuinely relaxing and comforting. It brings us back to ourselves. We are putting the wrong fuel into the tank. When we eat trying to tame anxiety, worry or sadness, it makes sense to resort to food, but it won’t heal us all the way through. I’m not saying that cookies or chips are bad (food is amoral), but the urge to eat them might be the wrong one. You are expecting from them an outcome they are incapable of providing. If this is your experience and you wished you could handle stress-eating better, I’d like to share a tool to help you become aware of the situation and make healthier choices when the “hunger,” which is actually an emotional and not a physical one, arises. Going back to the car tank. You can fill it all the way through with oil, but it doesn’t matter how much of the liquid you put into it, the car won’t go. In order to drive, the car needs gas (or electricity), so no matter how full it is of another substance, if it’s not the right one, it just won’t work, even if the marker says “full tank”. In the same way, if you put gas into the car engine instead of oil, not only it won’t work, it can have terrible consequences. Keep this image in mind as I explain you The Two Doors exercise. You (and all of us) are composed by two separate compartments: one is your BODY and the other one is your SOUL/MIND. Each one has its own threshold. You can enter both, but through a different door. Just as the oil and gas example in the car, the body compartment responds positively to physical things such as food, vitamins, nice flavors, attractive food, being cleaned with soap, water, toothpaste, the use of comfortable shoes, exercise, a massage…While the soul/mind compartment responds to emotions and thoughts: art, touch, words, laughter, kindness, crying, screaming, excitement, love, breathing, and yes, to exercise and a massage (but in a different way than the body). 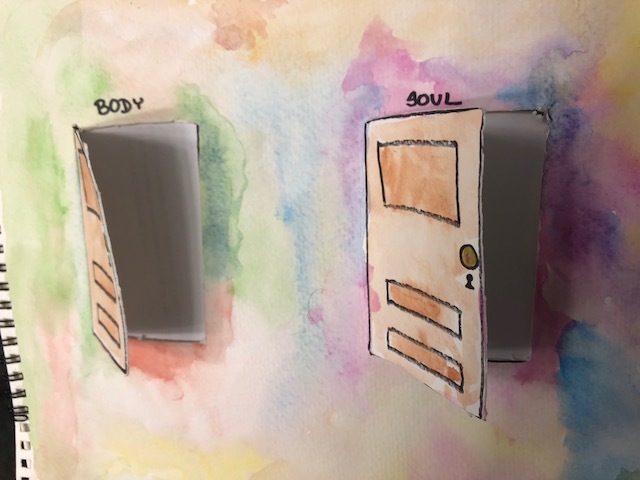 So, go ahead and draw two doors (you can get as creative as you’d like), you can even cut out paper or cardboard to allow both doors to be open and/or place a piece of solid paper underneath to you can draw on it even if the doors are open. On one door write “BODY” and on the other one “SOUL/MIND” (choose whichever word calls you the most). Use a magazine to cut out images (draw them if you are feeling artistic, or just write down words if you are not in the mood) of things that fit into each one of the doors and glue them on the appropriate gate, or just get them to pass through the appropriate door. After this, you will have a graphic representation of you own two doors. You can always keep adding as you discover more body and soul nourishment. I chose to use water colors because they have wonderful meditative qualities, but feel free to use whatever you want, or you can leave them without color. 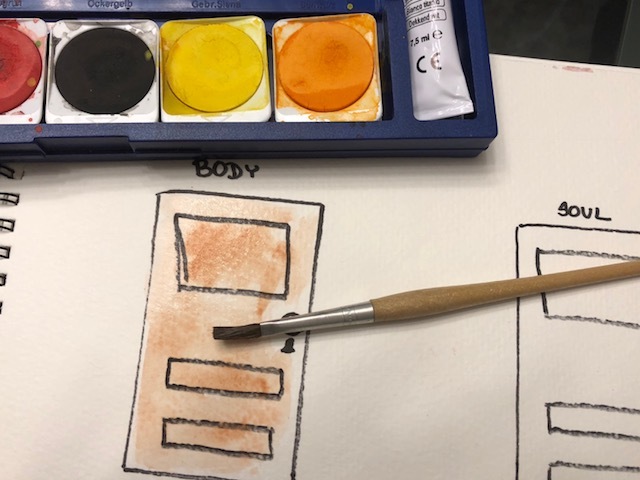 I chose to color around the BODY door with earthy colors of browns, reds, oranges and greens, and the SOUL into more exciting shades that I find more mentally stimulating. You don't need to do this, but exploring your creativity with this exercise can have amazing side effects! Use an exact knife to cut the top, bottom and one of the sides if you want your doors to be able to be opened. Every time before you eat anything, ask yourself what door needs nourishment? Is my hunger in my soul or in my body: Is my hunger physical, and I need to eat food, or is my hunger actually worry, fear, loneliness, sadness, anger, uncertainty? What door does that food go into and is it going into the coherent door? Is this food feeding any of the two doors? If the answer is no, then decide if you really want to do it. But please understand that a quick fix is not nourishment, as nourishment stays with you for the long run, it satisfies your hunger truly, not just for a little time. Some foods do fulfill our spirit/mind requirements but they are usually linked to experiences, meaning and/or amazing quality. Think your grandmother’s cookies, pasta in a tiny restaurant in Rome at sunset, dinner at a five-star restaurant in your birthday with your foodie friends. You are completely present in them, they are not an escape. When it’s just food, know in advance that food doesn’t have the power to make your soul go, but your body needs lots of nutrients and yes, the pleasure of tasty foods. It’s like the oil into the gas tank. You just cannot expect it to work to the purpose you need in the other compartment. If you realize it’s your soul that’s hungry, feed it then, but with the right substances, as packaged cookies and ice cream won’t make the car go. Call a friend, write something in your journal, hug your dog, take a bath, get your hair done, wear a pair of shoes that makes you feel gorgeous (yes, superficial things can also feed our soul! ), watch a comic in youtube, get a 10 minute massage, do a breathing exercise, lock yourself in a room and dance to your favorite music…Fill in your soul! It all goes back to awareness and the courage to feel your feelings, as opposed to trying to cover them up, by filling them with food. Once you do, life becomes much more peaceful. This is not a one-time-only-and-I’m-fixed solution, but a practice. Sometimes you’ll do great, sometimes you’ll choose the chips or the brownies. But the more you think about it, the better you will start walking in through the door that will take you to where you want to go. There are some people experimenting with not showering for extended periods to help their skin microbiome (good flora) develop healthfully. I'm not one of those, as much as I love the microbiome and the theories being interesting, and I won't ask you to do it either, but I will tell you why I've been showering as little as possible: I've realized how necessary bathing is for thriving! Both, showering or bathing relax me, they feel good, and it's exactly when my brain thinks the most clearly and my best ideas and inspo come to me (then they fly away! ), but bathing takes it to the next level. It's not only that warm water therapy is beneficial for fibromyalgia, low back pain and arthritis because it loosened our joints (with effects that go beyond the period of immersion), but because there's something magically restorative and healing about it. Bathing has been part of many cultures for millennia all around the world. It's linked to physical health, but also to social and emotional traditions. Spiritual purification is behind ritual bathing in Judaism, Islam, Buddhism and Christianity. Mineral waters and soaks with herbs have been used to detoxify and improve health for millennia (with a hiatus during the Middle Ages in the mainstream population, as cleanliness was not considered safe). Greeks and later Romans turned bathing into social events. Gymnasiums and public baths were important leisure sites, places to conduct business, exercise, study and relax. In Japan, Korea, Turkey, Finland and Russia bathing in groups (mostly men and women separately) is still an important component of the culture. But here, in our day and age, we have no time for that nonsense. We have things to do, social media posts to like, traffic to confront, more hours to work, homework to help with, Netflix shows to binge watch, emails to answer, fires to put down, bills to pay and still 8 hours of sleep to fulfill...So we shower quickly, but we need to bring bathing back, I insist!!!! I'm sure you've come across photos like the one above on Instagram or Pinterest. And those #selfcare bathing trends are adorable, they look heavenly, but unless you have no children, make a seven figure salary working part time, have a live in cook, a gardener, a housekeeper and a set designer/stylist, there's no way you'll be able to pull those off. So don't be overwhelmed with impossible to attain #bathinggoals. You don't need freshly chopped fruit in the tub (please don't bathe with fruit. Especially citrus! It can irritate your skin and even stain it after sun exposure, plus it's gross having to discard it after you are done bathing and it will clog your bathroom). Flowers and petals look lovely, but read above (although some herbal tea bags can be fabulous and easy to remove). Some blooms in a vase can add some feng shui (I suppose) and beautify your surroundings, but you can also bathe without them. You don't need GOOP's $35.00 (for 3 baths) bath salts either (although I'm sure they are very nice). You can also bathe without crystals and fancy literature, if People magazine is your jam, it works. But make sure your phone does NOT come into the bathroom with you! Candles are beautiful, but not indispensable either, and scented ones may compete with the essential oils I do recommend for aromatherapy. I buy this huge container that lasts me forever and comes with a scoop, so I don't have to run to the kitchen every time I'm about to bathe. Epsom salts are rich in magnesium, a mineral most of us are deficient in, and which is very important for bone and heart health, energy production, good sleep, pooping and relaxation (physical and mental). They’re inexpensive, especially compared to the fancy shmancy bath salts in chic packaging (nothing against those, I just want to keep it real and within budget). Bathing with these salts can boost magnesium levels as much as 35%. Just make sure that if you suffer from diabetes, you are carefully monitored, as high levels of magnesium can stimulate insulin release. I get good old Arm & Hammer in Costco, just don't photograph the bag, or no one would pin your pic! It softens the skin and helps with detoxification. 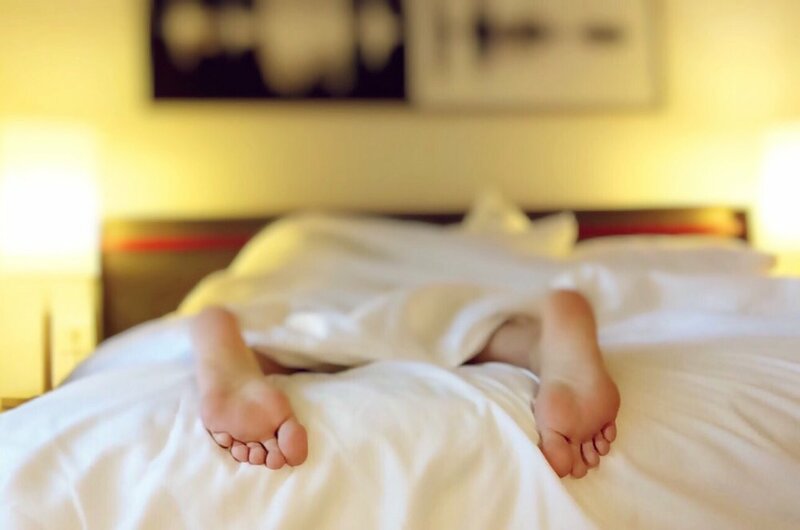 Ideally, bathe before bed, because it can help you improve your sleep quality, but if that's a challenging time for you, try to squeeze it in at any time instead of showering. You'll be using 10 extra minutes of your day, but trust me, it's so worth it! A little treat for yourself that you can be extremely proud of and that will give you pleasure for the 23 hours and 40 minutes remaining in your day. Everyone seems to be under the weather these days. The flu has been particularly terrible this year…Using the power of food, plants and supplements could help our bodies strengthen against the potential sickness, or at least support us into bouncing back into health faster and easier. As opposed to my usual, I'm refraining from giving you tons of info, feel free to email me if you want to know about the whys and research, but wanted to be as concise as possible and provide you with links for sources, as being prepared is crucial. Please remember that I'm not a doctor, so please consult your physician if you are experiencing any symptoms of illness or if you have any concerns. Medicinal mushrooms- I just wrote about adaptogens last week, and I’m bringing them back into the conversation, as these herbs can be very immune supportive, especially mushrooms. Cordyceps and Chaga one of my favorites. I recommend this blend of the main immune supporting ones that is a super star for adults. Colloidal Silver- Although controversial if you look online, colloidal silver is a great antibacterial, anti-viral and anti-inflammatory. Just make sure you take it along with a probiotic. It can be used with children. Take it at the first signs of illness, and spray it around your seat when traveling in a plane. Vitamin C- Best to get it from raw (not cooked, as heat affects it), freshly picked food. It’s more effective than in supplement form. Kiwi, strawberries, pineapple, kohlrabi, citrus, mango, papaya, bell peppers, broccoli, Brussels sprouts, tomatoes, kale, guava, parsley, are some of the best sources. Oregano, Rosemary, Thyme, Tea Tree-All contain strong antimicrobial compounds. I always have them as essential oils (doTerra, and I can hook you up if interested), but by all means use oregano and rosemary in your cooking. The essential oils are very strong, so I only use them when I really feel like a rag. Take 1 drop 2x a day, dissolved in 1 teaspoon of virgin coconut oil (which also has antimicrobial properties), or use TriGuard, which a friend of mine gifted me once, and I've been re-ordering every time I run out. If you take this blend, skip the colloidal silver, as this contains it along with tea tree oil and olive leaf. Echinacea- Great option for children! Elderberry- If you can make your own extract, by all means, go for it, but you can also find elderberry gummies with zinc, which helps fight infections as well. They do contain some sugar, which should be avoided as much as possible, especially while fighting illness, because it’s inflammatory, but these supplements are still very effective and are great for children, even for super peaky eaters. Ginger and Turmeric- Both master immune boosters and anti-inflammatory. Combine turmeric with black pepper and a source of good fats to make cur cumin, its main active compound more easily utilized by your body. Chicken broth and/or miso soup- Both great for nurturing and mineralizing the body. If you make miso broth: bring water to a boil. Pour it into a cup or bowl, let it cool a bit and then add 1 tablespoon into the hot (not boiling) water, and mix until dissolved, to make sure the probiotics present in miso are still active. If you are sensitive to soy, use chickpea miso instead. Probiotics- One of the many pros of healthy live bacteria is to support our immune system. Make sure you get at least 5 million CFU, but if you already take a probiotic on a daily basis, increase to 10 to 15 million. Probiotic foods such as sauerkraut, miso, plain yogurt (I’m in favor of no dairy kind) and other fermented foods.drinks. On Guard- I love this essential oil blend by DoTerra, it has a warm, sweet smell produced by the powerful compounds of the spices it comes from. We put 1 drop on the soles of our feet at night when sickness is around and diffuse it in all rooms of our home. Astragalus- Another adaptogen with great immune system support. Garlic- Preferably raw, but even cooked into your bone broth it is one of the immune master foods there are. Try eating it right after removing it from the bulb and peeling it, that’s when allicin, the main active compound will be the most effective. Bee pollen and/or raw honey- The mixture of plant pollens, nectar and bee secretions that constitute bee pollen and are also present in raw (unpasteurized) honey can have antimicrobial properties, besides being highly anti-inflammatory. You can sprinkle pollen on anything, and add a bit (1 to 2 teaspoons) of honey to warm tea or anywhere you'd like sweeten, just don’t cook them. Red/Orange Produce- Rich in carotenes that converts into immune supportive vitamin A, carrots, squash, peppers, sweet potatoes, etc should be eaten during colder months, adding a bit of good fat (olive oil, avocado, ghee…) along for better absorption. Each one of the ingredients in this elixir is a wonderful disease fighter and immune strengthener. Star anise, is particularly good in helping us fight the flu (it even contains a compound used to manufacture Tamiflu), and can be great for digestive distress. Cinnamon, cayenne are also very antimicrobial. Place ginger, turmeric, cinnamon sticks, star anise, pepper, cayenne, lemons zest (if using) and 4 cups water in a pot over medium high heat. Bring to a boil, remove from heat, and let it steep, covered, for about 10 minutes. Strain the liquid into a glass jar or liquid measuring cup and stir in coconut oil, honey, apple cider vinegar, lemon juice and oil of oregano. That's it! You have a reviving elixir ready to enjoy. Drink it warm, cold, or at room temperature. However, do not reheat it once you've added the coconut oil, honey, lemon juice and oil of oregano, because all the active compounds of those ingredients are heat sensitive. So if you will use it later, just brew the spices as indicated, let cool and refrigerate. When you are ready to use, reheat it and once off the heat, and honey & Co. Using a few of the foods that can help our immune system can be very tasty. Try preparing this dressing right before serving for maximum strength. You can use it over any kind of salad, the more colorful the better. A suggestion: raw kale, peeled and sliced blood orange, shredded Brussels sprouts, chopped parsley with roasted sweet potatoes and shiitake mushroom bacon (shiitake are also medicinal mushrooms). Put all ingredients in a power blender and whizz until vegetables are completely pureed. Add more water, if needed. We just want the magic pill. We want it so we can fall asleep, lose weight, get rid of headaches, aging, back pain, depression. But unfortunately, in order to succeed in any or all of the above, we need to do the internal work and the physical self-care needed. There’s just not One Pill to solve it all. But… It turns out, in the 1950s Soviet scientists were assigned the task to find substances that would increase efficiency in the military and production forces and stumbled upon some very interesting herbs from different traditions that help balance, restore and protect the body. They named them adaptogens. And although I don’t want you to use them ignoring your own needs and overwhelming your life with even more stress just because your body is more resilient, I do want to talk about them as an option to support life and find more relaxation in it. What exactly are adaptogens? During the Cold War, Russian scientists researched hundreds of herbs used in different folk medicines such as Traditional Chinese Medicine (TCM) and Indian Ayurveda and classified some as adaptogenic due to their capacity to increase resistance to stress, while improving concentration, performance and endurance during fatigue. Adaptogens have the ability to “adapt” their function to our body’s specific needs. For example, if someone is not producing enough of a certain hormone and takes a particular (or combination) of adaptogens, can see the hormone level rise. Another person can take the same herb because he/she is producing too much of that same hormone, the herb will adapt to the body’s needs and help hormone levels lower down. Pretty fantastic, right? Adaptogens don’t target a specific body part or region. Their effects at the beginning are usually subtle (so don’t expect coffee or sugar’s instant hit). The amount of time for effects to show varies depending on the symptoms you are trying to improve, finding the right dose and the right herb for you. It usually takes a few days to notice improvement in sleep, muscular relaxation and pain relief. If you are treating energy, mood, inner calm, sense of well-being and brain-fog relief, it might take a couple of weeks. If treating hormonal imbalances such as PCOS, infertility, or blood sugar, it might take at least 45 days to notice any changes in lab work (even up to a few months). Adaptogens can be used for long periods, even up to 1 year. You can actually take them for as long as you are receiving the benefit. If the benefits wane, you can take a 2 week break and restart. If the same herb doesn’t work, you can try a different one or a blend. Always start with the lowest suggested dose, and if after a few days you don’t experience any improvement at all, you can increase a bit at a time. We are all different, so be observant, aware of how your own body reacts, and adjust accordingly. Always ask your doctor before taking them, especially if you are taking prescription meds. Although adaptogens rarely react with other medications, don’t take them if you are taking blood pressure or immunosuppressive drugs, or if you are pregnant. Long gone are the days when these herbs were of exclusive use within the Communist block. American capitalism is now banking on them with companies such as Moon Juice, Four Sigmatic, Gaia Herbs, Sun Potion and many more, marketing products based on different herbs and blends that can support some of our most concerning needs. I’m sure there are still many more adaptogens to be discovered and researched. There’s a whole revolution ahead! In order to select the best one for you, choose one that seems most specific to your needs. After a few weeks, you can combine them if you’d like to leverage their effects. Some companies, such as the mentioned above make very good quality blends, besides producing single powders, extracts, tinctures and capsules. Used to help increase vitality, energy, endurance and stamina, promote longevity, and strengthen the immune system. It can improve high blood pressure, thyroid imbalances, sleep, chronic fatigue syndrome, anxiety, chronic joint pain and arthritis, memory, and impotence associated with anxiety or exhaustion. Caution: Avoid during pregnancy or if you are taking sedatives or if you have severe gastric irritation or ulcers. Also people who are sensitive to the nightshade group of plants (tomato, potato, chilli and bell peppers, tobacco, goji berries) should be careful. Increases energy and stamina, mental alertness and performance. Enhances immunity (especially viral), improves detoxification. Helps muscle spasms, joint pain, insomnia, and fatigue. It tends to work well for those whose sleep routine is affected, such as people who work night shifts, very long hours, or have babies. Dose: 2-3 grams per day of the dried root. Caution: Eleuthero is generally safe, but occasionally it has been associated with agitation, palpitations or insomnia in patients with cardiovascular disorders. If you have high blood pressure, your blood pressure should be monitored when taking it. Not recommended during pregnancy nor for people who suffer insomnia. Women with uterine fibroids, endometriosis, or breast cancer should avoid eleuthero. Take in the morning, not at night. It’s a gentle but effective tonic for the mind, mood and immunity. Improves energy, anxiety and mild depression. It is very motivating and protects from inflammation, and helps people experiencing nicotine withdrawal. It lowers blood sugar, triglycerides and cholesterol levels. 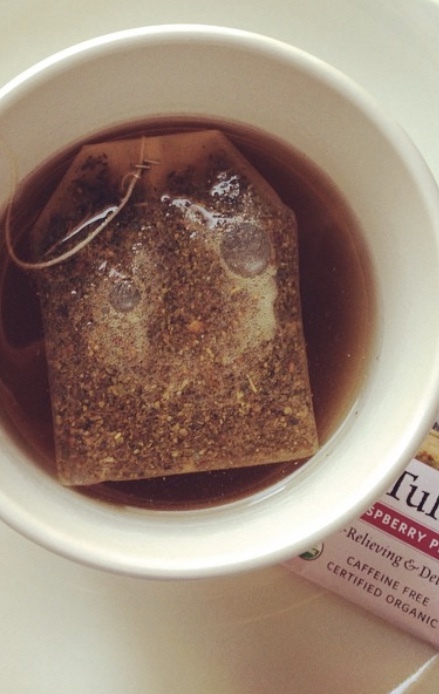 Dose: I love drinking a tulsi tea after dinner every night. It’s a lovely and healthy way of ending the day. Maca enhances mood, and improves anxiety, depression and vitality. It increases libido (for both, men and women) and fertility. It helps regulate hormonal imbalances and aids sexual disfunction in postmenopausal women. It is also used to treat menstrual and menopausal symptoms, such as hot flashes and vaginal dryness. Dose: 75 to 2,000 mg/day gelatinized. Caution: Make sure you take it in the morning, as some people report insomnia if taken at night. Not safe during pregnancy. Note: in my personal experience, a few of my clients have had a strong and unpleasant digestive reaction to mama. Start with the minimum dose in gelatinized form. Lion’s Mane: A culinary mushroom that can be found in powdered form and as capsules. It is believed to stimulate nerve growth and improve mild cognitive impairment. Reishi: Strictly a medicinal mushroom, not a culinary one. It can improve immune function and inhibit the growth of some malignant tumors. It also shows significant anti-inflammatory effects, reduces allergic responsiveness, balances blood sugar, and protects the liver. Supports adrenal function and detoxification processes. It calms the nervous system and can be taken before bed to promote a deeper sleep. You can buy dried, ground mushrooms and use them to make tea if you don’t mind the bitterness. Otherwise, buy reishi capsules, and follow the recommended dosage. Take reishi every day for at least two months to experience its effects. Caution: avoid any medicinal mushrooms if you are allergic to mushrooms or if pregnant. This herb helps improve mental and physical performance, reduces fatigue, anxiety and depression. Rhodiola helps regulate cortisol (one of the main stress hormones) levels. It strengthens the immune system, it is used in the treatment of chronic fatigue syndrome, fibromyalgia and stress headaches. It boosts libido and fertility, and helps improve disordered eating. A study suggested that it might aid in weight loss. Rhodiola regulates mood, supports the nervous system, reduces stress and improves sleep. However, it is a stimulating herb, so it should not be taken before bed. Caution: Take in the morning. Avoid if you suffer from bipolar depression with manic behavior and if pregnant. Schizandra has a calming, anti anxiety effect, and at the same time improves mental focus. It supports the liver and due to its rich antioxidant activity, protects from cellular and genetic damage. It can have a blood sugar regulating effect and might help reverse the resistance of tumors to chemotherapy drugs. It’s considered a rejuvenating and hormone balancing tonic for women, but also supports men’s reproductive wellness. Shatavari is great for improving irritability and mood/emotional symptoms related to hormone imbalances, as well as vaginal dryness, low libido, and sleep problems during PMS, perimenopause or menopause. It increases fertility, breast milk production, and improves insulin secretion and cholesterol levels. The most common Ayurvedic practice is to use the powder form because tasting the herb starts the digestive process. Dose: 500 to 1,000 mg twice daily 1 to 2 teaspoons). 1. In a medium bowl mix with a fork nut/seed butter, seeds, collagen/protein, adaptogens, cacao, spices, maple syrup and salt, until well combined. 2. Grab a small piece (about 2 tsp) dough and press it in while you roll it into a ball in the palm of your hands. Repeat with remaining dough. 3. Pour coconut or cacao nibs (topping) into a small bowl. Roll the balls in topping until fully coated. Repeat with remaining balls and refrigerate for at least 15 minutes. Place lion’s mane, coconut milk, water, cardamom, canela, ginger and vanilla (if using) in a medium saucepan and warm over low heat for about 10 minutes or until warmed through. Stir occasionally. Remove from heat. Add rhodiola and honey, of using. If you have a milk frother, by all means use it, and make your latte foamy! Serve and enjoy. I live in New York City. The world capital of type-A personality, the foodie movement and the place with the largest amount of dieters per capita (statistical data based on personal observations, so don’t bother with google). It is quite interesting how many people are willing to stand in line for brunch, make reservations 2 months in advance to eat at the most recently reviewed restaurant, how many Manhattanites own sous vides, know chefs’ first names, and how most of those people are also terrified of food, and miserably feeling that eating is like borrowing money from a bank and thinking they must pay back by going to the gym ASAP to avoid criminal charges. Why can’t we just love food truly, deeply, fully? Why can’t we leave dieting out of the equation? Why do we have to keep searching for the secret ingredient in French sauces that allow people to eat happily and not gain weight? The problem is that we’re looking in the wrong place! It’s not an ingredient, a nutrient, a magical fat, organic farming, nor the phytochemicals in wine. It’s about not giving food powers it doesn’t have!!!. Instead of finding pleasure in what we are eating, we’re taking ourselves on an interstellar guilt trip. And in the meantime, while we’re carefully planning how to lose the future weight gain or penalizing ourselves for our lack of will power, we’re missing the opportunity to enjoy the magic that happens when you eat good food: the sensual experience and the sharing that goes on when we eat with others. Then food looses its main sources of nourishment: nutritional, social and emotional. We are so busy worrying, that we miss the opportunity to enjoy. Did you know that our digestion actually starts in the brain? The engines of our digestive tract get turned on when our eyes see the food, our nose smells it, our taste buds sense it and our brain registers it as an upcoming eating experience. It tells the vagus nerve to get the digestive juices going. It’s called the cephalic phase of digestion, and if we don’t allow it time and focus (if we’re stressed and distracted when we are starting to eat, this first step of our digestion gets severely affected), our whole digestive process gets affected. We lose digestive efficiency (that can lead to indigestion), and to a lower production of hydrochloric acid and certain enzymes, which can affect our feeling of satiety, and our capacity to absorb nutrients diminishes. We are designed to experience a meal as pleasure, and if we prevent ourselves from doing so, we only affect our bodies negatively. Guilt is a form of stress, and when our body is under the stress response, our physiology responds with weak digestion, and a lower calorie burning capacity. By not being aware of the eating experience, we’re not present. Fighting all the voices in our mind talking about the imagined consequences of eating not only causes stress, but our innate need for pleasure goes empty-handed. Our body then asks for more food, because it needs the pleasure to relax and produce the hormones and neurotransmitters that make us keep wanting to stay alive, feel cozy, excited, and make us feel life is worth it. When we don’t satisfy those needs of ours, we feel we need an endless amount of food and we feel like gluttons. The secret is instead, to become a gourmand. To enjoy the food slowly, small amounts of pleasure, with finesse, with time, with joy, with awareness. We live constantly being scared of our body. We fear that it will betray us and get sick. We are terrified it will gain a crazy amount of weight. We don’t trust it, and we neglect it. It asks us for food because it needs nutrition and pleasure, but we only give it a fraction of it, or we give it a fake kind of them. No winder the body speaks to us through its own language: bloating, constipation, exhaustion, depression, aches, pimples, hair loss, weight gain, pain. We worry even more (and worry is stress), and we just keep trapped in the vicious cycle. Bringing in awareness and accepting and honoring the pleasure of food, while finding the joy of wholesome foods is the key into relaxing our relationship with food, and it is in a state of relaxation where our wellbeing takes place. Before you begin eating, take a look at your food, knowledge it, appreciate it, say a quick blessing. Smell it and taste it. Take your time! Chew as slowly as you possibly can. Feel the taste bring in joy. Tell the inside voices of your head to go feed the meter outside, you’ll be OK by yourself for a bit. Ask your body how hungry it is (you can do this at the beginning, in the middle and at the end of the meal). See note below. And decide if you want to keep eating. Listen and honor what your body tells you. Trust it. Ideally, we should aim at staying between 3 and 8, never getting below or above those. 4-7 would be fabulous! Although still simple and easy to prepare, this salad is full of brightness. It cuts through the dullness of winter, while it aids our body detoxify (beets, citrus) and enhance digestion (fennel). The bee pollen adds a lovely floral flavor and these tiny granules pack a ton of nutrients. They contain complete protein (rarely seen in a non-animal sources), they are an excellent source of vitamin A, and contain B complex vitamins, as well as vitamin C, zinc, iron and magnesium. Bee pollen is wonderful for boosting immunity, it is a powerful antioxidant, anti-inflammatory and helps relief stress, among many other attributes. Make sure you eat it slowly and enjoying! In a large bowl, place fennel, cucumbers and beets. Add lime and juice of 2 clementines. Sprinkle with a bit of salt and pepper and drizzle with a bit of olive oil. Mix everything well and taste for seasoning. Add more olive oil, clementine juice and/or salt, if needed. Sprinkle bee pollen and sumac and toss gently. Taste for seasoning again and adjust, if needed. Add in beans and avocado, if using. Let marinate for 15 minutes. NOTE: Bee pollen stays fresh for up to 1 year in the refrigerator. Last week I made a big decision to open up and write about my own experiences with depression and binge eating. As I confided to a friend, it felt a bit like getting naked in public. I kind of knew before posting, that I was going to be vulnerable and exposed, but I felt I had to do it in order to explain to people that I’m not the whole foods police (I also thought no one would be “watching”). Before posting anything, I always ask myself if I would feel proud if my children read what I write and leave forever in cyberspace, and I gave myself approval. The feedback and comments I received (including some opt-outs from my newsletter), were incredibly enriching and motivating. They confirmed that it’s important to embrace our humanity, our imperfections, our struggles, and that we are not alone. There’s always someone out there that we can approach and who will respond with kindness and support. As social media gets more and more sophisticated, present and devouring of our time and attention; more experts and role models can show us what they do, think, use or buy. Which can be great, because we can follow amazingly talented people that can inspire us. But it is a double edged sword. If we’re feeling sad, doubtful or going through any of the constant valleys (or deep holes) that life is made of, some posts can make us feel really lame and inadequate. If we are already judging ourselves harshly, the perfect Instagramers, bloggers and G-d knows what else is there on people’s screens, or the lack of “likes,” hearts or kissy faces, or not being able to afford the must-have Balenciaga coat, do a handstand at the beach during sunset, or not sipping blue reishi tea with pearl powder can make us feel awful. And in truth, even the top experts, or those influencers with seven million followers, who seem to have it all together, are still trying to figure it ALL out! We just see a fraction of their life, but they also have their fears, their messes, and their stories. We just don’t know them. By talking about my own challenges, I just wanted to tell you that I’ve been and I am there too, that I’ve found peace in this particular process and that I want to share the path with you, so you can find your own way to get there. I fail, I get frustrated, hurt, tired, hungry, angry, hangry. I crave, I doubt, I constantly hesitate. My intention wasn’t to fish for sympathy or complain about my life. And I can’t talk about my story as if it’s something completely solved. I’ve learned to understand that it is not a straight line and that just because we overcome a rough patch, doesn’t mean that life is fixed. However, I know that I’ve healed a lot, and it’s felt so warm, safe, and sweet, that I’ve tried to become a healer myself. If by the end of my life I know I was able to help people get closer to their purpose, then I’ll feel I have achieved my own purpose. How do we start healing? Being aware, which also means being mindful (hence all the mindfulness trends), asks us to experience fully, with all our senses and attention whatever we are doing now. It forces us to slow down and stop trying to run into the future to control preconceived problems. Being aware means being here right at this moment. Not catastrophizing, not preventing. Just here, right now. Awareness is being conscious, attentive to what is happening in the present moment with the voices of judgment turned off. Once you have been aware, then you could make a choice, but not before! Do me a favor: go to your nearest sink and turn the water on. Put your fingers into the running water and just focus on how the water feels in them. What are the exact physical sensations you are having? Make the temperature a bit warmer and go back to the sensation in your fingers. How does that feel? Feeling those sensations in your skin is being aware, being mindful. Then you can make the choice of the temperature that feels the best for you at that moment. The more we experience life like that, the more we identify and learn about ourselves, the more we relax and the more capable we are to make efficient decisions. If we just keep listening to our self-judgment, we miss all the information. A wonderful time to practice awareness is while we eat. Instead of judging food for its calories, slow down and focus on the sensations in your body. How is your hunger feeling? Then be aware from the moment you look at the food, until the moment you swallow it after chewing. What is the experience of flavor? What’s the texture, juiciness? How does chewing feel like? How does the taste hit you with aroma, and then at every part of your tongue? How does your hunger feel now that you’ve eaten that bite? During meditation we can always practice awareness, while we breathe, recite a phrase or a prayer. During a religious service, while we play or listen to music, when we practice yoga or take a walk, before we go to sleep, or when we're on vacation. What is it about the beach or the woods that allows us to feel a pleasant sensation. The sounds? The air? The sun? The trees? We can scan our body’s sensations a few times a day, no judgment, just exploration of the present. Can you be more aware when you are showering? How does shampoo feel in your hands and head? When you drink coffee…how does it feel? Can you tell the flavor nuances of your drink, how does the temperature feel? Awareness takes time, but it also tells us a lot of what we need to know. Awareness is the key piece of information we need so we can decide and take an active participation in our healing process, and mindfulness makes everything much more worth it. 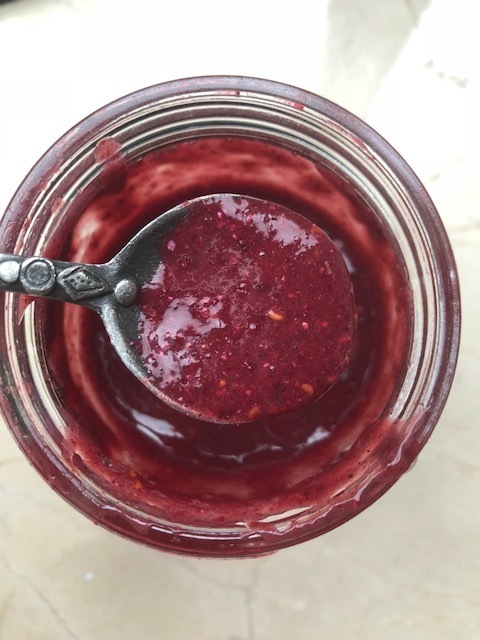 This chia jam recipe is very easy and uses very few ingredients, but it’s also very beautiful to look at, has a very interesting texture, a lovely scent, and a delicious flavor. Try making it being very aware of the process of preparation and tasting. You can use it for topping yogurt, chia pudding, overnight oats, granola, parfait, ice cream, toast (I love it on almond butter toast), cake, fruit salad, smoothie bowls, oatmeal, sandwiching cookies, cheese platter, just anywhere and it will add antioxidants, vitamin C, omega-3 fatty acids, and a great amount of fiber, besides all the sensations you’ll discover while enjoying it. Place berries and honey in a power blender and whizz until liquified. Listen to the sound. Can you tell the texture of the fruit by the noise from the machine? Place berry puree into a jar and add chia seeds. Mis well with a fork, making sure no lumps are left. Trying to find and get rid of lumps is done with awareness…. Allow it to set for 15 minutes and enjoy. Look at the texture. How did it change? Before you taste it, look at the jam, smell it, then try a little of it. Place all your attention into your sensations. Identify sweet, sour, and any other flavors. What does your tongue feel? Your cheeks….? Lately, I’ve been hearing many people I admire talk about their struggles with depression. I can relate with their experience. I’ve been deep in the Dark Side too. A few times. I can remember my first time of not wanting to be here when I was in elementary school. And then I kept falling into the precipice, struggling to come out just to fall again some years later. I had valid reasons for being depressed: my mother was severely ill since I was 6 years old, then my parents’ separation when I was in my teens, struggles to fit in socially, sentimental breakups, you name it. And the struggle has continued throughout my whole life whenever I’ve felt loss of control and fear, usually for circumstances in which I felt everything was falling apart without me being able to do anything about it: postpartum, a bedbug infestation, family losses, career conundrums…Not the happily ever after Disney movies had taught me. It turns out, I’m no rare jewel! Studies estimate that 1 out of every 4 or 5 people will suffer from depression in their lifetime. It’s a very worrisome statistic! Right after high school I went through a period of complete sadness and loss due to the end of a relationship. I discovered the (faux) soothing powers of sweets. Ice cream, pastries, cereal, cookies, and bread became my support system. They rescued me from the void that my life seemed at that time. Some months and 3 dress sizes later, I had an appointment with the diet doctor du jour who had the latest French intel on how to lose weight. Nutritionally, the diet made sense (except for the artificial sweeteners): lots of veggies, a bit of fruit, lean protein at every meal, no sugar, no fast carbs and I brought olive oil with me everywhere I went to drizzle on my salads. However, despite being nutritionally sound, I felt deprived, and dreamed of pan dulce and corn. My most loyal friend had turned into a criminal! What had comforted me was now outlawed. However, I followed the diet like I’d always done everything else: with complete obedience and discipline. My size eventually shrank back a bit, but a completely dysfunctional relationship with food followed and I started binge eating, so for all my university years and my first year of marriage, my weight kept yoyo-ing. Misery I wanted to eat all the treats in the world, I wanted to lose control and after I did so, I felt like a fraud, like an idiot and like a monster. I would restrict myself then. But my body asked me to binge and the cycle kept going. I was a straight A student, I’d never allowed myself to have no will power. How come I couldn’t just say no? It was until I was in grad school, studying the beauties of food and discovering how interesting food history, culture, writing, and cooking were that I realized that my swinging body shape and love-fear of food wasn’t the root of the problem. The problem was not addressing how empty, scared and impotent I felt due to many reasons. I had never opened the door into my soul because I just wanted to close my eyes and the sadness to go away. Food was a distraction, a survival mechanism to keep me from facing my fears, and my life. I didn’t want to listen to my body, who was screaming at me through the binging. I needed to confront my true “why,” my pain. I had to welcome it, accept it and work on the real thing. I couldn’t numb it down anymore. I needed to discover that food was just was food, and that my depression was an invitation to make changes, not a problem with muffins. My teacher, Marc David says that depression is a visitation from our guardian angels, that is here to tell us something. What??? ?I had feared my depression like the plague throughout my whole adult life, so much so that I fed it cake to keep away! Marc says that depression is here to whisper into our ears to ask ourselves what we are doing, to look at our life, to understand who we are. We need to be shaken to our core and observe what’s happening, because otherwise, left to our own devises, we would keep doing the same thing forever. Depression stops us, it tells us that we need a vision, a purpose. James S. Gordon, MD agrees in the preface to his wonderful book Unstuck: Your Guide to the Seven-Stage Journey Out of Depression, explaining that “Depression is not a disease…It is a sign that our lives are out of balance, that we’re stuck. It’s a wake-up call and the start of a journey that can change and transform our lives.” It feels horrible. It turns all lights off, and just because we overcame it before doesn’t mean that it won’t come back. If we need the shock, it will return. But depression needs to be honored. As much as I’ve hated going through depression, I have to admit that David and Gordon are completely right. By trying to walk through the darkness, I’ve discovered holistic health, my own spirituality, yoga, mindfulness, meditation, aromatherapy, the power of whole, real foods, homeopathy, nutrient supplements, and yes, prescription medication, herbs (all legal, don’t panic), probiotics, therapy… and by becoming curious and experimenting, a whole world has opened up for me. Most importantly, I discovered my calling as a Mind-Body coach and whole food advocate. I’ve discover the amazingness of how the body affects the mind and how the mind affects the body, and I’m fascinated learning more and more every day and working with other people into discovering their own connections with their stories. I’ve understood how depression not only carries a message and a challenge, but how we can feel better by working at different levels: if we move our bodies, we might move our minds as well. If we feed ourselves what our bodies and minds need, we nourish our souls too. If we are able to rest our body and our mind, we repair and strengthen them. If we learn to relax and accept pleasure, our mind-body thrives and even soars. If we form bonds with other people, we heal. And, if we use spirituality and creativity in order to strengthen all these areas, we live life plentifully. That’s why I’ve created The Star of Health. I’m not a doctor nor a therapist, and I’m not saying I can cure depression, but as a health and eating psychology coach, I believe that the speed, expectations, and distractions of our current lifestyle are delivering us to be part of the 1 in 4 or 5 statistic. Many high rollers and overachievers are also depressed. It escapes no one. So I suggest we take the time and make the effort to learn to relax and enrich our lives through the following. I’ll be talking much more about The Star of Health in the time to come. Please contact me if you’d like to learn more about it and how to start incorporating these principles into your lifestyle. It's January! That time of the year when entertaining and baking books are taken away from the main display at Barnes and Noble; and diet, cleanse, and wellness books take heir place. Magazine covers switch from fudge, Hawaiian salt spiked single origin-chocolate cookies to kale-pomegranate-turmeric "DETOX YOURSELF NOW" recipes. Talk shows, FaceBook adds and your Instagram feed vomit through the screen the three million best kept secrets on how to get rid of all the indulgence they encouraged you to experience throughout December. Your emails generously list all the links where you can get the coolest workout outfits, how to ask your stylist for the latest hairdo for bare class, and of course, the 3 new super expensive super foods to make you thiner, smarter, fitter, stronger, prettier and healthier (and obviously keep you from wrinkling), all concocted by a model that found the potent botanicals in the middle of the Amazon jungle, because turmeric-is-so-last-year! "I see how wellness has become another way to display wealth... I see how it thrives on inventing new ailments, creating social pressure to cure them, and selling snake oil for how to do it. I see how, by embracing the idea that well-being must be bought, we’re becoming more and more distant from ourselves—our bodies, our minds, and our health." Writes Rachelle Robinett in this great Healthish article about how the fashion world is mostly responsible for the current luxury wellness movement. Countless times I've had clients ask me to give them The Diet Plan. The one that will fix them once and for all. They want exact amounts, exact recipes. They need The Key Superfoods, The Magical Essential Oils that will heal them. We keep wanting an external purchase and a foreign authority to make it all better once and for all. The wellness industry has been created and grown out of that desire, that need and our preference to pay for an illusion than to carve ourselves the time, and awaken our curiosity to take care of ourselves in order to get ourselves to take care of us (aka to be healthy). True wellness is about making a commitment with ourselves. It's about being open to listen to our body, our needs, our feelings, our stresses and embark in a process that will last for the rest of our lives. It won't always bring us happiness, nor make us instantaneously lose weight, and it might never be about instant gratification. It will be about trial and error, small successes, some setbacks, but deep wellbeing. Don't get me wrong, I love super foods, recipes and essential oils, but if we think our health will thrive without us making a conscious effort, no super food in the planet will help us. Not that long ago a dear client and friend of mine texted me "this business of taking care of myself is a full-time job!" Yes it is, but not working on that job keeps us from enjoying life. The minute we were born, without realizing, we signed the contract in which we take care of our bodies and our bodies will be the vehicle that will take us through the road of life for all its duration. "When I work with clients directly, it’s striking how often the same issues arise from imbalances in our relationships between mind and body; society and self; control, love, and fear" says Robinett. Vogue, the fashion Bible gives us the secrets to a happier and healthier 2018-Case in point! This is a terrible pic that I took, but I love how the magazine is right under all the candy bars! So...where do we start in taking care of our selves? Deep breathing switches our body from stressed into relaxed response. If you take the time to breathe deeply a few times a day, your heart, hormones, brain, immune system and even your gut microbes will thank you. I personally do this 3 times a day and encourage pretty much all my clients to do so. Place the tip of your tongue against the ridge of tissue just behind your upper front teeth, and keep it there throughout the entire exercise. Do all the counts mentally. Exhale completely through your mouth. 1. Close your mouth and inhale through your nose as you count to FOUR. 2. Hold your breath while you count to SEVEN. 3. Exhale completely through your mouth, as you count to EIGHT. This is one cycle. Now inhale again and repeat 3 more times until you complete a total of four cycles. New Year's Resolution: Start breathing deeply once a day. A proper deep hug, where the hearts are pressing together, can be extremely effective at healing sickness, disease, loneliness, depression, anxiety and stress. When we embrace someone, we release oxytocin, and serotonin promoting bonding, elevating mood and happiness, while decreasing cortisol. Hugging boosts self esteem. Virginia Satir, a family therapist, said “We need four hugs a day for survival. We need eight hugs a day for maintenance. We need twelve hugs a day for growth.” New Year's Resolution: aim to at least 4 hugs a day. Few things are more pleasurable than a bout of laughter, and laughing doesn’t only feel good, but stress hormones tend to decrease while we laugh, and feel-good endorphins increase, which can strengthen the immune system and turn on a relaxation response. Laughter also decreases blood pressure, increases vascular blood flow, unclogs airways, increases oxygen intake and has been suggested to have positive effects in heart health and digestion. Laughing 100 times equals exercising 10 minutes in a rowing machine or 15 min in stationary bike! Some research indicates that laughing may positively affect blood glucose levels. Laughter is a natural pain reliever and eases fear and anger. New Year's Resolution: make sure you crack up once a day, even if you fake it! While we sleep, our body relaxes, detoxifies, rebuilds and repairs. Most adults need about 8 hours a night. Inadequate sleep weakens our ability to handle stress and maintain a healthy immune system. It increases the risk of heart disease, affects fertility and prevents us from moderating our emotions and thinking clearly. Lack of sleep affects our appetite and has shown to contribute to obesity. New Year's Resolution: Go to bed 10 minutes earlier every night for 1 week. By then end of the week, you'll have an extra hour of sleep! Just do something creative for 10 to 15 minutes every day. Whatever you like!!! You can journal, garden, sing, play music, paint, cook a new recipe, color as if you were a pre-schooler. Honor the creativity that you were born with (all human beings are naturally creative). It doesn't have to be in the arts. Creativity is the tendency to generate or recognize IDEAS, VALUES, ALTERNATIVES, or POSSIBILITIES that may be useful in solving problems, communicating with others, and stimulating or entertaining ourselves or others. So solve a problem that awakens your curiosity, communicate with someone else in whatever way you desire, or just find a fun way to entertain yourself, your children, your significant other, your pet or a large audience. Creativity feeds the soul, and nurturing the soul is one of the highest ways of self-care. New Year's Resolution: doodle, dance, create a new salad dressing, do a puppet show, take photographs, solve a new math problem.....it's up to you. Just get creative! Have you noticed how this lovely colored root has been appearing in all textures, presentations and varieties in the market? Chips, kombucha, lattes, puffs, vegetable powders, juices, baby food, dog food, Lara bars, fermented jars, are only a few. Beets are great for oxygenating the blood, are a wonderful source of energy, antioxidants, anti-inflammatory compounds and are good for liver detoxification. But don't be fooled by "beet sugar," which is just plain old sugar, with the downside that most sugar beets cultivated are GMO. You can thank Paleo followers (and obviously Latin American cuisine) for making plantains more popular. You've probably already seen them crowding the chip shelves in your favorite health food store, but plantains are also turned into flour and used for baking. Just wait and see, they will soon appear in a recipe in front of you! Cooked and pureed or roasted, plantains are a grain free alternative for starchy food. Plantains are a great source of resistant starch, which is a starch that we don't digest, but that our beneficial colon bacteria love, so it acts as a prebiotic. I'm a huge fan of cordyceps, reishi, chaga, lion's mane, and shiitake mushrooms. They all have different properties. Some are good for stimulating the immune system, while others are more nourishing for our body or strengthening our mind. The Four Sigmatic company has grown considerably in the last year and has been brining its products (medicinal mushroom-spiked coffee, hot chocolate or "elixir" powders in individual size packages) into the mainstream market. I like their hot cocoa-cordyceps blend, but I'm a bigger fan of the plain powdered mushrooms, so I can add them to whatever I want. They don't have a strong flavor nor an unpleasant consistency. There are some great brands out there, such as Sun Potion or lesser known ones like Health Ranger Select (at amazon.com). If you are purchasing, make sure they are organic certified and produced in the U.S. (aka not China). There are some great blends that come in capsules. If you have any health conditions, please ask your doctor before taking them. Biohacking food: Adaptogens & Co.
Dave Asprey, the mastermind behind Bulletproof coffee, diet, and radio has made it his goal to figure out how to upgrade mind and body. He's come up with very interesting research, products and other hacks that are worth noticing (I'm not endorsing anything, but he's definitely someone worth listening to if you are into wellness). By now, many food companies have taken the cue and are also selling us functional everyday foods using biohacking ingredients, and are starting to sprinkle probiotics and adaptogens into their junk food. Adaptogens are a group of medicinal (I would even call them magical!) herbs that help us cope with stress, give us a sense of well-being, improve our immune and/or endocrine systems, and can make us feel more energized. Ashwagandha, tulsi (holy basil), maca, rhodiola, schizandra, shatavari, eleuthero and medicinal mushrooms are some of the adaptogenic plants. I loved them and find them incredibly effective, however, they have to be taken with caution, under supervision, and I would not recommend children to consume them, especially maca root. The effective dose of adaptogens vary individually, so it's much better to consume them in a way in which you can control how much you are taking. In my opinion, all those granolas, cereals, and snacks that have adaptogens can be skipped. As you probably already know, our microbiome (gut microorganisms) is responsible for a huge part of our health. Happy bugs make for a happy you! If you suffer from hormonal imbalance--as I did for many years (PM if you want to discuss!) --your gut bacteria, yeast and other tiny friends may have to do with that. The estrobolome is a group of bacteria responsible for helping our body metabolize and get rid of used up estrogen. If we don't have a balanced microbiome, and our estrobolome can't do its job properly, we might suffer from estrogen dominance, which is no fun! There're still a lot of unknowns in the microbiome world, but eating tons and a great variety of fibrous plants has been one of the most consistent pointers. These fibers feed the good bacteria, and this food are the "prebiotics." So one more reason to eat plenty of plant rainbows! It used to be very difficult (we had to look all the way into amazon.com!!!) to find pasta made of beans, lentils or chickpeas, and it was even harder to find a tasty one! Now the pasta aisles are covered with a bunch of black, green, yellow and orange pasta varieties made of legumes and/or legume-grain-pseudo grain blends, and an bunch of them are delicious. They are higher in protein and fiber than regular pasta, which is great news, but do know that they are not a low carb food. They are best when served freshly cooked, as when they cool down, they become gooey, sticky and unpleasant. Look for the ones that list only ingredients that you can picture in your head and have no additives. Although many health experts I respect and admire are enthusiastic about monk fruit extract as a "healthy" sweetener, I rather be cautious. What makes me suspicious about monk fruit is that it comes from China, where transparency and honesty in food production and quality isn't always trustworthy. The Chinese government forbids monk fruit and its genetic material from leaving the country, and the fruit must be grown and manufactured in China. I might be paranoid, and I'm not saying that I will never consume it, but I'm definitely not using it on a daily basis. We usually take our vitamins, minerals and other remedies orally, injected, sprayed, topically and intravenously. The newest trend in town? Inhaling them! Companies like NutroVape and Vitaminvape are selling vitamin B complex and B12 inhalers and they claim the absorption is hundreds of times more effective than when taken in other forms. The companies also offer blends of supplements under different benefit claims, such as "recover," "focus," "energy," "relax," "sleep," and obviously "diet" aids that have supplements such as milk thistle, green tea, CoQ10, glutathione, caffeine, turmeric, and melatonin, among others. Some companies are using a similar technology/packaging for essential oils and aromatic spices/herbs. I guess we'll never get rid of our oral fixations, and with this products we get to satisfy them and feel good about taking our supplements. I'm afraid some blends might be too stimulating or even ineffective, but the B complex sounds good to me, as some people have a hard time absorbing/metabolizing these vitamins. All I can say is that Dr. Freud would be very proud! I'm very much looking forward to see what Jeff Bezos has in store for us with the Whole Foods Market acquisition. No predictions or opinions here, I'm just waiting and hoping, and since amazon already knows exactly what, how, when and why I consume everything, and has all my payment options recorded, I might be able to do my organic food shopping telepathically. It used to be that fiber-rich food was thought to be the feed of choice of the Birkenstock-wearing, no shower-needed, hippie crowd only. And while every single expert has been recommending us to increase our fiber consumption in order to improve our health, we weren't interested. If we obeyed, it was always with a "yuck" face. Then came Tanya Zuckerbrot with all her gorgeousness, and turned fiber into the "it" fancy nutrient (actually, not a nutrient, because our bodies don't absorb it) showing us how she takes it everywhere in designer, monogramed bags, and by creating a social media community where the adherents to the f-factor diet can share recipes, photos, love, success stories, and feel empowered through their wheat bran GG crackers, fiber is finally in! Although I have a different approach to nourishment than Tanya; her impact in the way we are now thinking of fiber in NYC (and I'm sure soon nationwide) is undeniable and to be applauded. And that sense of community she has created brings me to the last, and most important of all trends. Even better than eating all your fiber, working out consistently, inhaling vitamins and feeding your estrobolome, it's been now shown that love ends up trumping all when it comes to wellness. The Harvard Happiness Study has found that "close relationships, more than money or fame, are what keep people happy throughout their lives... Those ties protect people from life’s discontents, help to delay mental and physical decline, and are better predictors of long and happy lives than social class, IQ, or even genes." That product isn't sold at amazon, nor Whole Foods, it requires hard work, but investing in connecting deeply with others is the best investment we can make. With this recipe you'll use trendy beets, add fiber, probiotics and biohacking spices into your day. Most importantly, you can share it with others, and it's so tasty that you'll connect to a "dip" level with those who taste it! Blend all ingredients except herbs until completely puréed. drizzle with a bit of oil and top with herbs. Serves 4 to 6 as a dip. Happy, healthy and connected 2018! Just because I'm an eating psychology, health coach and chef, it doesn't mean I'm spared of the motherly gifts of breakfast complaints. Actually, the first meal is especially hard because cereal isn't part of the repertoire. Last week a chorus of "there's NOTHING for breakfaaaasssst" exploded in my home and I improvised the recipe below. Kids and husband have been happily eating them and kids are even making them themselves for after school snack every day. I know they might get bored in 4 more days, but in the meanwhile, I'm enjoying the peaceful mornings! 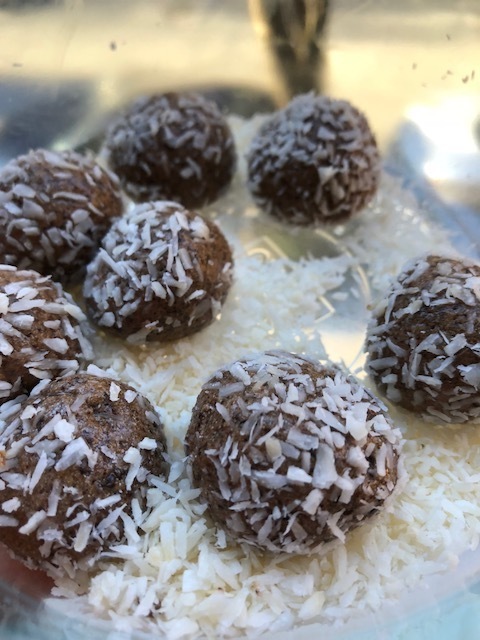 These superballs are NOT low in calories, quite the oposite: they are very nutrient dense, having what I call PFF (protein + fiber + fat (good ones! ), the perfect triad for stable energy and metabolism. So a few go a long way. Almond butter is rich in good fats, has some protein and fiber (I'm really digging Trader Joe's raw, unsalted one and it's easier on the wallet than most), flax is a great source of brain boosting omega-3s, fiber, and has the richest content of lignans, phytochemicals that help stabilize blood sugar. Hemp protein powder is the only protein powder I'm willing to give to my children, because it's minimally processed, has no additives, has a complete amino acid profile, supplies additional fiber and it's actually pleasant to eat it in this recipe! Rolled oats add a bit more fiber, so I'm OK with a little of sugar from the maple syrup and the chocolate chips. However, if for some reason, you are on a completely sugar free diet, leave out maple syrup, oats and chocolate chips, and add 1/4 tsp ground cinnamon, 1/4 tsp vanilla bean powder (make sure it's the one with no sugar), 4 tsp cacao nibs, and if u want, a drop of liquid stevia or 2 tsp Lakanto. They would make a good snack. 1. In a medium bowl mix with a fork almond butter, flax, hemp protein, maple syrup and salt, until well combined. 2. Fold in oats and chocolate chips with a spatula. You might have to press them into the dough. 3. Grab a small piece (about 2 tsp) dough and press it in while you roll it into a ball in the palm of your hands. Repeat with remaining dough. 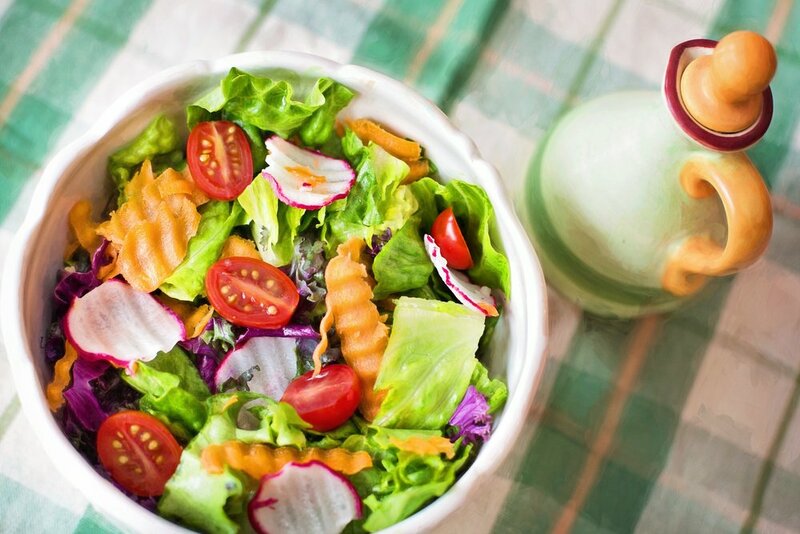 Salads are the perfect vehicle for nutrients and deliciousness. They are usually easy to prepare and allow for tons of improvisation. This recipe came out of combining 2 recipes from the Zahav cookbook and adapting to what I had at hand. Came out too good not to share. It's prepared with thawed frozen peas (no cooking needed). These legumes are an outstanding source of phytonutrients, even though they are not given the credit/status they deserve. Among many health enhancing compounds, legumes contain coumestrol--a phytochemical recently discovered to be stomach cancer protective. Peas are also a very good source of vitamin K, manganese, dietary fiber, protein, vitamin B1, copper, vitamin C, phosphorus and folate, and a good source of vitamin B6, niacin, vitamin B2, molybdenum, zinc, protein, magnesium, iron, potassium and choline, and kind of taste like candy. Place shallot slices into a small bowl. Add enough apple cider vinegar to cover it and add sumac. Mix well and allow to pickle for as long as you can (15 minutes to 3 days, covered and refrigerated). Place thawed peas, lemon juice, zest and olive oil into a serving bowl, and mash a bit with your hands or a fork. You don't want to puree peas completely, but you do want some of them to be mushy. Add in herbs, hemp seeds, pickled shallot (with some of the liquid) and season with salt to taste. Serve or cover and refrigerate for a few hours.